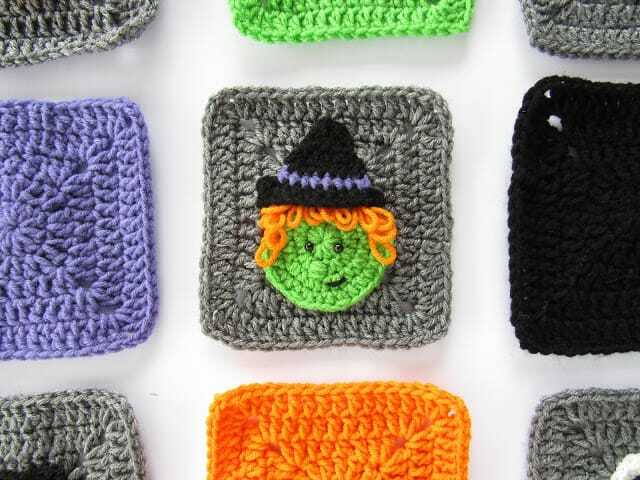 This crochet witch granny square is a part of my Halloween Blanket Crochet Along. Click here to see the other squares. For Week #2 of the CAL we will be making 4 gray squares, 4 purple squares, and 4 witch appliques that will be sewn onto the gray squares. This little witch will be the most labor intensive out of all the squares, but it’s not hard! Watch the video to help you through and find the materials needed & free written pattern below! Loop stitch: (hold working yarn around index finger) insert hook into st, grab the yarn from behind the index finger as well as the yarn in front of the index finger, pull up a loop (at this point you can pull the working yarn to make the loop smaller or pull the loop to make it bigger), yarn over, pull through all loops on hook. This will create a loop on the backside of your work. 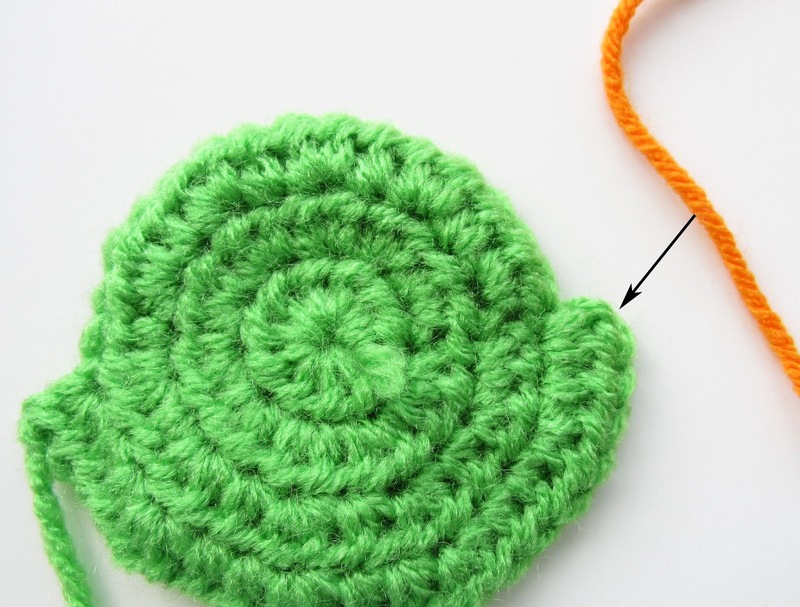 Fasten off green yarn and leave tail for sewing onto granny square. 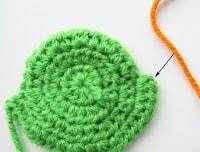 Fasten off and leave tail for sewing onto granny square. Use green yarn and tapestry needle to embroider nose. Use a running stitch, keep overlapping the same stitch 8-10 times. 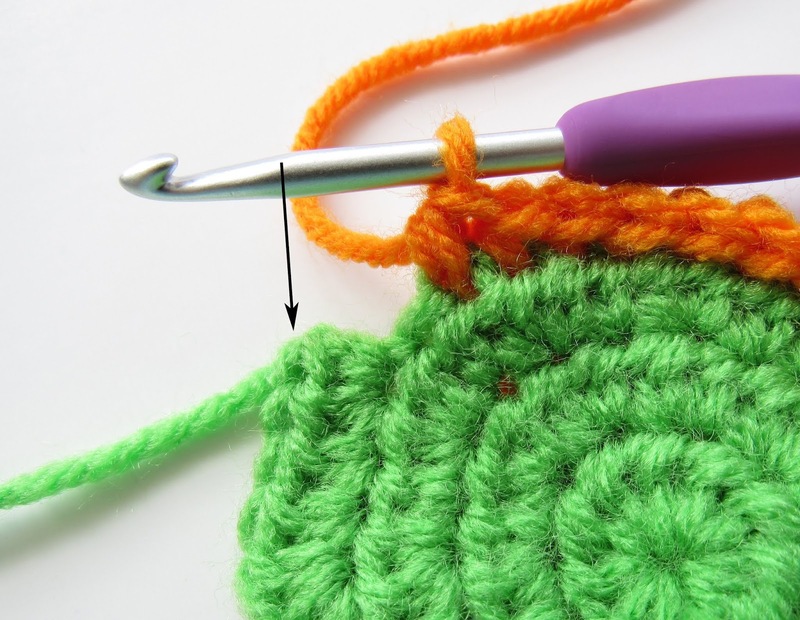 Find the video on how to sew on the witch to the granny square here. Don’t forget to share with my on my Facebook Group and/or Instagram!